Early in his career, he managed Mick Jagger, David Bowie, Eric Clapton, Rod Stewart, and Blind Faith. Later, he successfully managed Yvonne Elliman and Player on his RSO Records label. Other successful Broadway productions included Evita (winner of the 1980 Tony Award for Best Musical) Pippin, Oh! Calcutta!, and Sweeney Todd. He collaborated on cinematic versions of Jesus Christ Superstar and Evita; sequels, Staying Alive and Grease 2; as soundtrack producer of Fame and The Empire Strikes Back; and Tommy, Bugsy Malone, Sgt. Pepper’s Lonely Hearts Club Band, and Gallipoli. He was also executive producer of the Music for UNICEF Concert. His musical savvy also served him well for the flick, Time Square, as he promoted some of the hottest New Wave artists at the time, such as Patti Smith, The Pretenders, Talking Heads, and Roxy Music. Stigwood’s legacy as the father of the modern Rock Opera remains in tact. His influence is entrenched in the productions of The Rocky Horror Show and the musical version of Little Shop of Horrors. 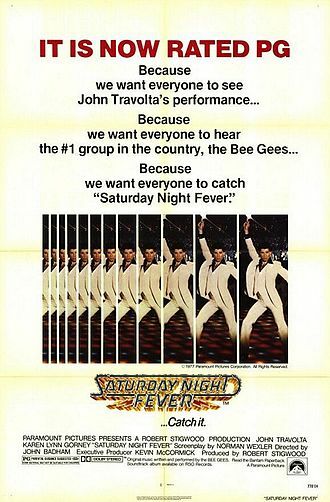 Along the way, he revived the careers of The Bee Gees and Olivia Newton John, as they became pop culture superstars. This entry was posted on Tuesday, January 5th, 2016 at 12:41 am	and is filed under Blog by Manny Pacheco. You can follow any comments to this post through the RSS 2.0 feed. Responses are currently closed, but you can trackback from your own site.